Cementation started work on Potashcorp’s Picadilly project near Sussex, New Brunswick in May of 2008. 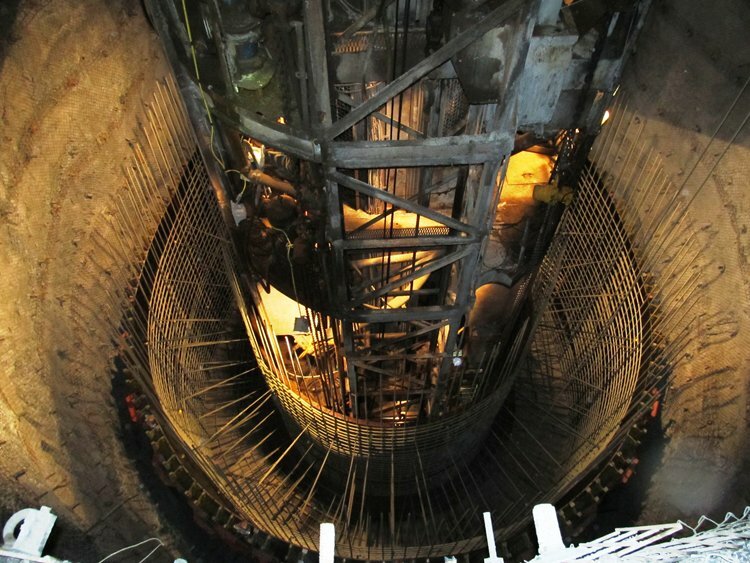 The scope of work involved the detailed engineering of much of the shaft surface plant, construction management of all of the surface facilities as well as the engineering and sinking of two 5.5 m diameter shafts to a final depth of 890 m. With potential of water inflows, the shafts were designed and constructed with hydrostatic liners, and a significant grouting program was carried out during sinking. Both shafts were completed with no lost time injuries. Although the property is not presently in operation, Cementation has carried out some upkeep to the shafts in preparation for production should the operation be opened in the future.